Active skin demands a true performance sunscreen. KINeSYS SPF30 Girl Vanilla-Green Tea offers the very best UVA/UVB Broad Spectrum protection while allowing your skin to breathe. Active skin demands a true performance sunscreen. KINeSYS SPF30 Girl Vanilla-Green Tea offers the very best UVA/UVB Broad Spectrum protection while allowing your skin to breathe. 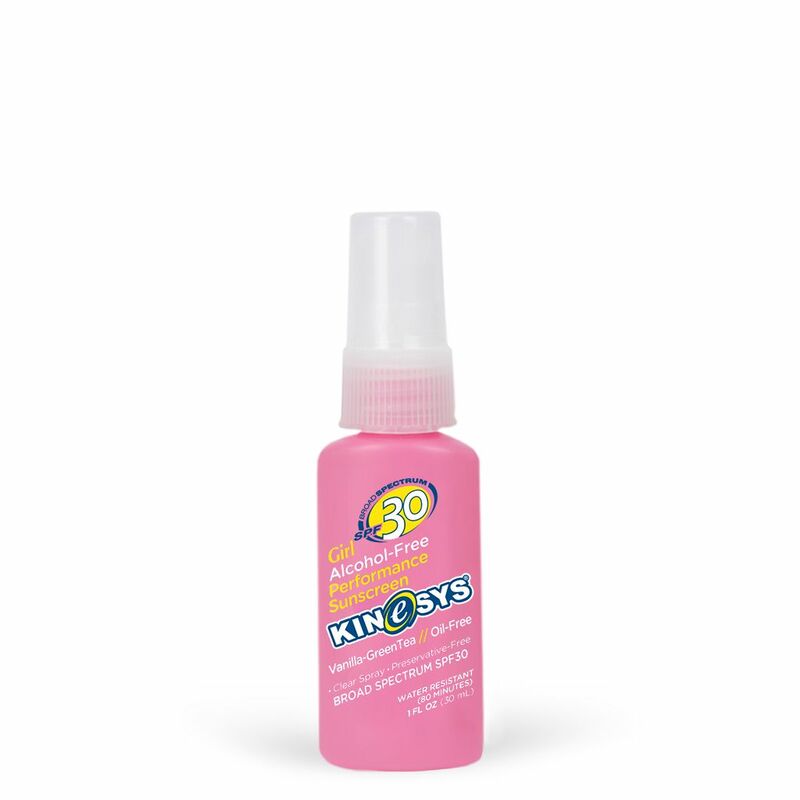 The non-aerosol, easy application spray makes applying KINeSYS before and during activity easy and without the need for messy rubbing. Bisabolol, Butyloctyl Salicylate, Cyclopentasiloxane, Diphenylsiloxy Phenyl Trimethicone, Fragrance, Octyl Palmitate, Tocopheryl Acetate, VP/Hexadecene Copolymer.